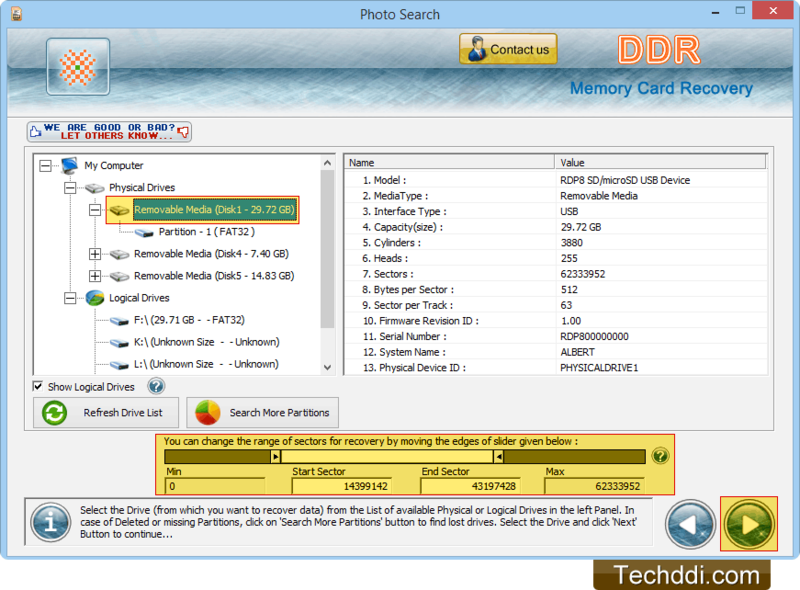 From left panel, select the drive to recover lost data and set sector range as per requirement by moving sliders. 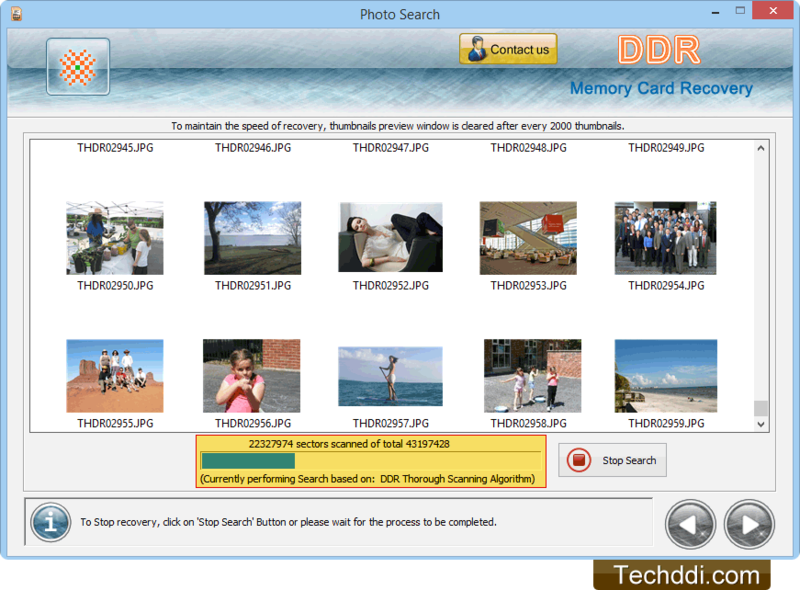 Browse the path of destination folder that contains recovered files. 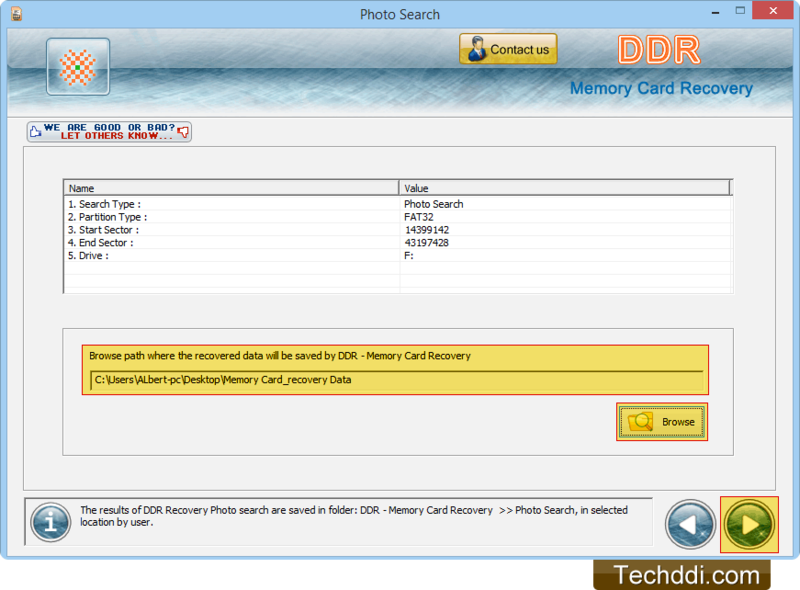 Wizard displays current status of data scanning process. 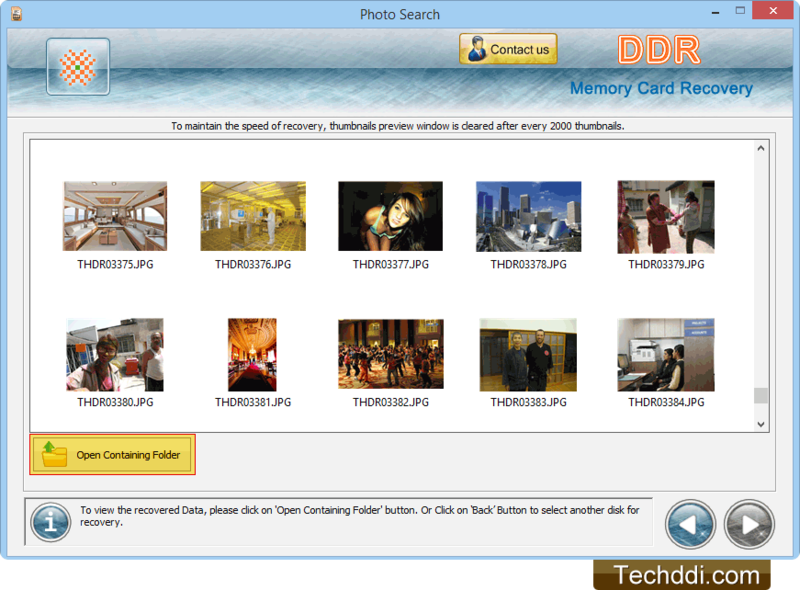 Open containing folder to view recovered data.